These issues are not unique to the veterans returning home from Iraq and Afghanistan. We simply have to look at the experience of the Vietnam Era Veteran to get an idea of what we are facing. 58,000 soldiers were killed in action. For Veterans with combat trauma the risk of substance abuse is very high. The desire to medicate the pain and anxiety associated with PTSD can become irresistable and even seen as necessary to function and sleep. Abusing substances increases the risk of veteran incarceration, homelessness, and suicide. It is within the mission of HOPE4PTSDVETS.ORG to provide resources, peer to peer support, wellness strategies, and the tools necessary to avoid or combat substance abuse. 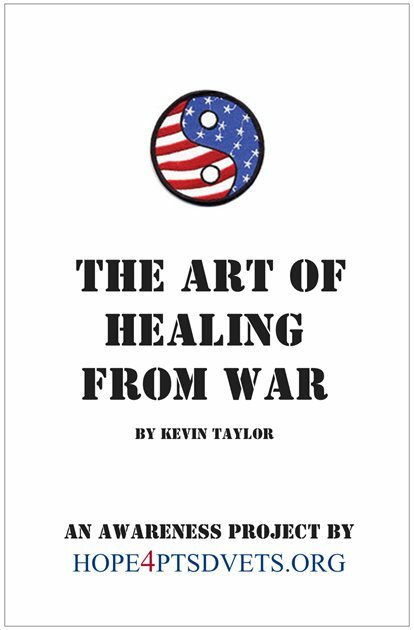 Through our holistic approach to healing and wellness including our Mindful Maneuvers Program, Peer-Driven Support, Holistic Wellness Strategies for both the combat trauma Veteran and family members, we can decrease the number of veterans abusing alcohol and drugs. Incarceration, along with homelessness, is a by-product of substance abuse or can be caused by anger issues stemming from Combat Trauma/PTSD. HOPE4PTSDVETS.ORG recognizes that many of our veterans caught within the legal system have been wounded by combat trauma and we are committed to providing that same hope and holistic help behind bars or as a jail diversion program. We are also working with counties to help establish Veterans Courts so these unique circumstances and needs can be addressed and met. There's a high rate of substance abuse among veterans, and another connection between substance abuse and prison, unfortunately this connection is all too strong thanks to our war on drugs. We need alternative solutions to avoid locking up the men and women who serve our country. The causes that contribute to our high rate of veteran incarceration are similar to those that have left so many veterans homeless. These are men and women who were willing to wear the uniform, willing to put themselves in harm's way. It must be tough to come to the realization that their country - the people and ideals that they fought for - are not half as eager to heal their pain, to have their backs. Seems there is just too much hurt and not enough money. The statistics in the DPA report make it clear that something is missing in our veteran services. More than 40 percent of veterans in federal prison (and 15 percent of those in state prisons) are there for drug violations. More than 60 percent of veterans in prison can be classified as having a substance abuse problem. A quarter of veterans in prison were intoxicated at the time of their arrest. There are obvious and immediate gaps to address. One of the most prominent is that most veterans don't qualify for substance abuse treatment benefits through the VA unless they have PTSD. Substance abuse treatment should be available to all veterans, without barriers, hurdles or paperwork. It's much better to treat an addiction than to lock someone up or put them in prison. I wrote recently about veterans' courts being used in New York, Illinois and Nevada. These courts can treat veterans with the respect and attention they deserve, helping defendants navigate the complicated bureaucracy between the VA, police, court, treatment and prison. The initiative has drawn some fire from veterans and civil liberties advocates, saying these courts can unfairly single out veterans. I think they're an appropriate response, and any time our courts can specialize and slow down the conveyor belt, we're doing defendants a service. Homelessness is a major issue facing Veterans returning home. The statistics below are tragic. Veterans with combat trauma are even more likely to end up chronically homeless than veterans without combat trauma. One of the strategies of HOPE4PTSDVETS.ORG is to network with homeless shelters, the Veterans Administration and other Veterans Organizations to provide these men and women with some tools to help find and maintain personal and professional stability. On any given night, more than 300,000 veterans are living on the streets or in shelters in the U.S.
Veterans represent 11% of the adult civilian population, but 26% of the homeless population, according to the Homeless Research Institute (2007). Suicide and Suicide attempts among active duty military and returning vets are happening at a frightening pace. There have already been more suicides by OEF and OIF military and veterans than have been killed in both conflicts combined. On average one active duty military and 22 veterans take their own lives each day. "...The VA has sought to improve data collection, too, and the numbers appear troubling: In 2011 there were 17,754 suicide attempts -- about 48 a day -- up from 10,888 in 2009. That increase, the VA said, may largely reflect an improved tracking system put into place in 2010 and a growing number of patients treated at VA facilities. The VA couldn't provide data on the number of suicides within the VA system after 2009, but the figures through that date show a broadly stable rate since 2003 that is higher than the national average. Outside the VA healthcare system, which has almost 9 million enrollees, the data becomes murky. The VA has estimated that roughly 18 veterans nationwide kill themselves every day, but that number is based on limited data. Reuters conducted its own survey, contacting all 50 states but obtaining data for the 2005-to-2010 period from only 32 of them, accounting for about two-thirds of the U.S. veteran population. In those states, veteran suicides increased from 4,801 to 5,017 over a five-year period in which, the VA believes, the U.S. veteran population declined slightly." It is one of the strategies of HOPE4PTSDVETS.ORG to provide hope and holistic help to OEF and OIF Veterans and their loved ones while increasing awareness and reducing combat veteran substance abuse rates, incarceration rates, homelessness, and suicides. "As a Veteran with combat trauma, I have experienced each of these issues, with the exception of suicide. I did end up in a coma and an exteded ICU stay from trying. If you are a veteran who suffering from combat trauma, contact us. You are my brother or sister and It is my personal mission to make sure you do not have to go through what I did for over 20 years." "If you start to think the problem is out there, stop yourself. That thought is the problem." Copyright 2011 Hope 4 PTSD Vets. All rights reserved.